Blue Point, <?xml:namespace prefix = st1 ns = "urn:schemas-microsoft-com:office:smarttags" />New York – September 3, 2009 –Fitness By the Bay (Fitness Shadow, LLC.) 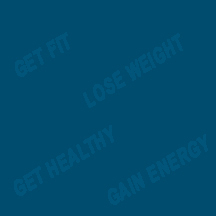 has begun offering weight loss surgery patients and surgeons fitness as an add-on to their current weight loss offerings. Currently, weight loss surgery programs include psychological and nutritional support. These programs are included in the patient’s package and additional support after surgery is offered for psychological and nutritional help. ”After looking at local (Long Island) weight loss surgery programs provided by various surgeons, their offices and hospitals, it was painfully obvious that their patients are not being offered structured fitness programs,” said Mark Falk, Fitness By the Bay’s Owner and Head Trainer. ”I’ve looked into personal training and fitness programs that are provided by hospitals or surgeons offices and found a few that did offer fitness as part of the package. All of them that I found were out of state. One, in Tampa Florida that was contacted made an interesting comment that Lap-Band and Bariatric Surgery is only a tool used in reducing an obese individual’s weight. Lifestyle changes which require psychological assistance, nutritional guidance and fitness training are all needed. Exercise done properly helps in reducing the comorbidities that an overweight person still faces after surgery, such as Type 2 Diabetes, Heart Disease, Pulmonary Disease and a plethora of other illnesses,” said Mr. Falk. Fitness By the Bay has trained dozens of clients, all with similar results, which include lowering weight, lowering resting heart rate, increasing lean tissue and reducing body fat dramatically. With all of the benefits of exercise the biggest is the increase in quality of life. ”My background not only includes a Personal Training Certification from the National Exercise and Sports Trainers Association and years of practical fitness applications but also in new business development, and general business functions. A surgeon has many ways to add this to the program. They can offer a set quantity of personal training session’s pre and post surgery with a trainer, they can create their own fitness room or center in their own business or, they can refer their clients to a personal training facility such as Fitness By the Bay. Surgeons can utilize various methods to help their clients reach their goals, and get truly healthy while expanding their own businesses. After all, their business is weight loss, and that should include exercise to increase fitness,” concluded Mr. Falk.